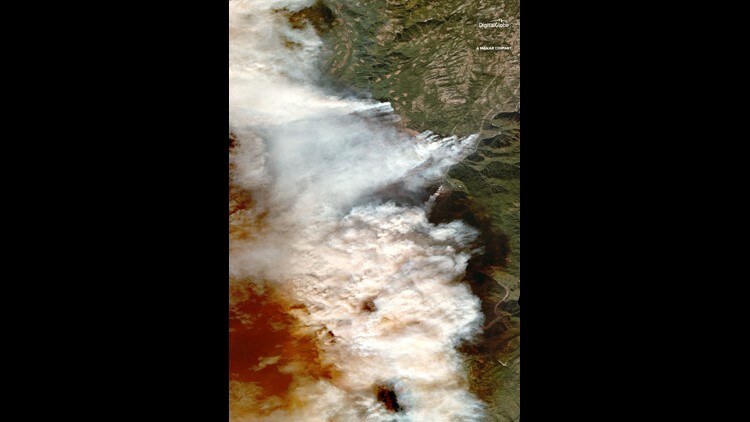 Overview of the Camp Fire in Paradise, Calif., on Friday. 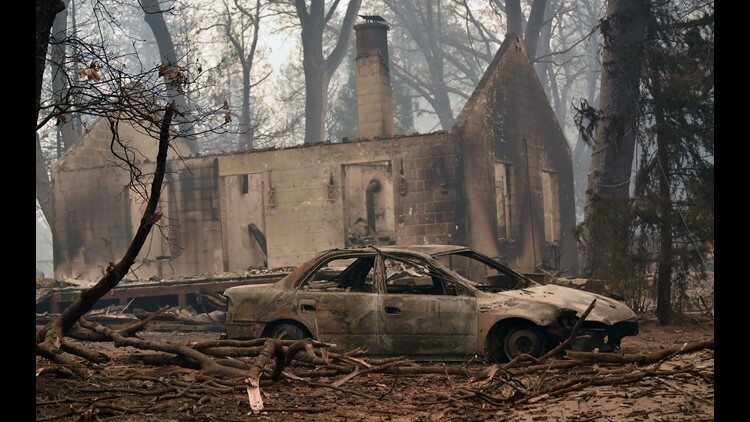 The Camp Fire, which wiped out the town of Paradise, Calif., in Butte County, 80 miles north of Sacramento, has consumed 156 square miles and was only 20 percent contained on Saturday afternoon. The images show just shells of homes and businesses in the town of nearly 30,000. Officials say more than 3,000 firefighters are battling the blaze, which is California’s most destructive wildfire since record-keeping began. But with the winds expected to return to 35 mph gusts on Sunday, it’s likely more homes will be lost, Los Angeles County Fire Chief Daryl Osby warned. Ventura County Fire Department Chief Mark Lorenzen said the devastating Santa Ana winds could last through Tuesday. 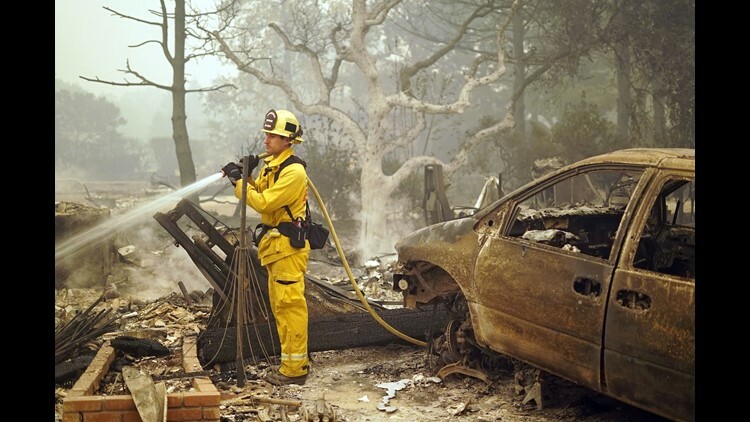 Firefighter Marc Eyherebide, 33, sprays down a destroyed home to prevent it from sparking any more fires in Paradise, Calif. Smoke clouds the air above the remains of a burned-out house and car in Paradise, Calif.